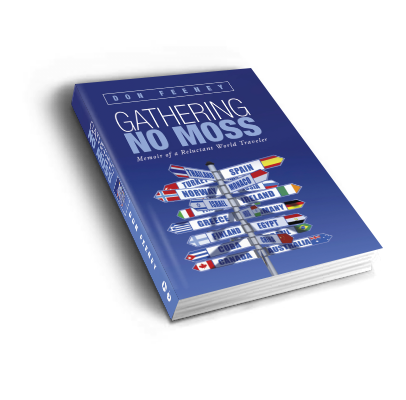 Gathering No Moss, follows author Don Feeney’s recollection of his three-decade trip as a United States Diplomat down the wild, weird, and surprising journeys of his life. A somewhat reluctant traveler, he conveys the heavy burden of loneliness on the road while driven by the search for meaning, spirituality, and love. His life has been one of thought-provoking questions, highly charged emotional situations, and brushes with both greatness and tragedy. Copyright © 2014. Don Feeney. All rights reserved.